Originally named Chikara 7 (hence C7) after the number of pheromonal compounds, this is arguably the best product on the market. Despite the combos listed above, C7 is great on it’s own. The reactions are fairly even across the spectrum, but I would class the overall feel as friendly with a masculine punch. 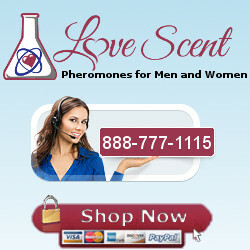 C7 also has no problem getting respect from males, but there is room to add more androstenone via an additional product if you want (the formula is reputed to have more androstenol than androstenone). Additionally, the fragrance is fantastic, and many people get compliments on it. Also available in Chikara gel packs.